You may have forgotten about him. But Julian Assange is still there, holed up inside Ecuador’s embassy in central London. And on Wednesday this week it’ll be a full year since he walked into the embassy claiming political asylum. 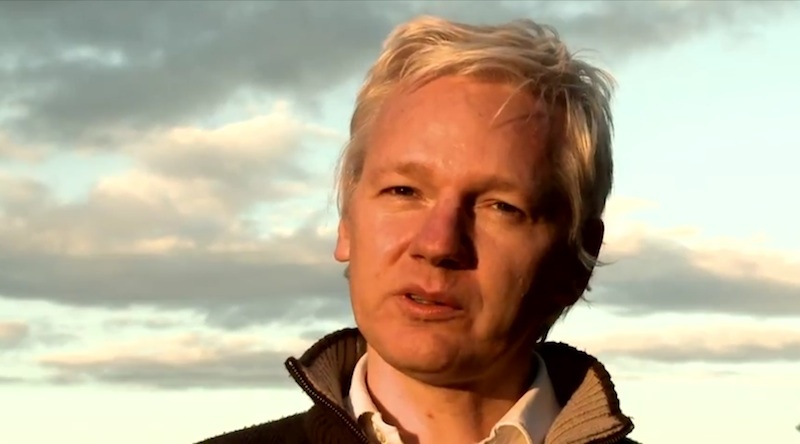 Julian Assange knows that despite having been granted asylum by the Latin American nation in August 2012, if he steps outside the building he’ll be immediately arrested by UK police and likely extradited to Sweden to face questioning over two alleged sexual assaults in the country. The 41-year-old WikiLeaks founder denies any wrongdoing, but fears that being transferred to Sweden could ultimately result in him being handed over to the US authorities investigating the release of confidential and highly sensitive diplomatic files and military reports over recent years. In an interview granted to the AFP news agency to mark the one-year anniversary, Assange spoke of life in the embassy, outside which UK police have kept a 24/7 presence, an operation said to have so far cost somewhere in the region of £3 million ($4.7 million). Assange told AFP reporter Katy Lee it’s been “like living on a space station” for the past 12 months. To make up for the lack of sunlight, the Australian says he’s been using a sun lamp, and runs on a treadmill for exercise. The anniversary comes as the US authorities seek to make contact with American Edward Snowden, who hit the headlines recently when he was named as the man responsible for exposing PRISM, a huge Internet surveillance program operated by the National Security Agency. He is currently thought to be in Hong Kong. “Mr. Snowden is as good an example of a hero as any,” Assange told Lee. However, Assange said he feared Snowden could end up in the same situation as Bradley Manning, “detained without trial, abused in prison and now facing life imprisonment.” After spending three years in detention, Manning’s trial, on charges connected with the leaking of hundreds of thousands of classified US government documents to WikiLeaks, finally got underway earlier this month. As for Assange, his future is still far from certain. Swedish court? US prison? Ecuadorian beach? Who knows, but one thing’s for sure – he must be dying to get out of that embassy.